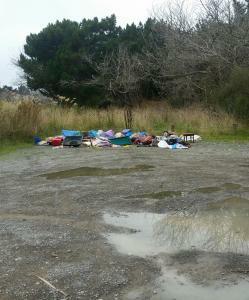 A large pile of rubbish has been dumped in the carpark on Heyders rd near the surf club. Pretty happy to receive a call from the park ranger to say this rubbish had been cleared up promptly. Good work guys I'm impressed with the service.